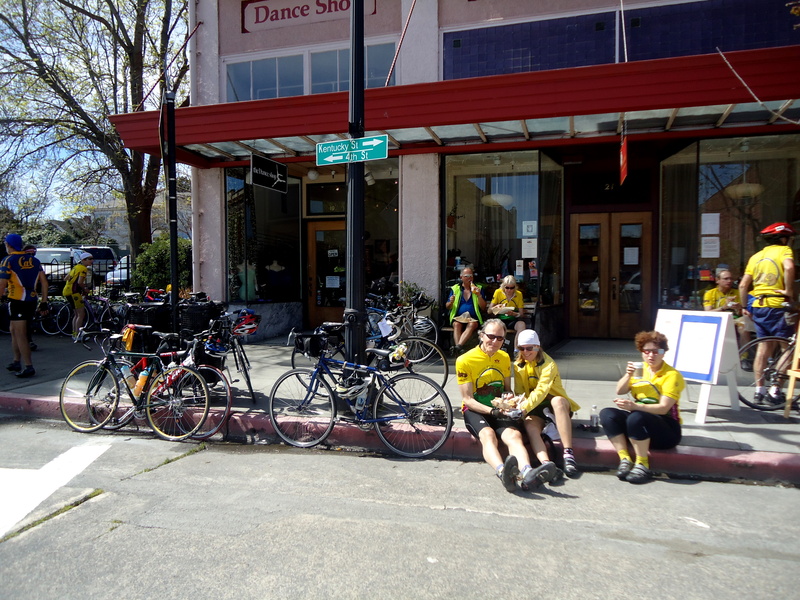 The group meets up at Nicasio for a ride out to Petaluma for lunch at the new Bovine Bakery on Kentucky St.
We head out on Nicasio Valley Rd and make a right turn on Pt Reyes-Petaluma Rd for the climb up to the Cheese Factory. Water and restrooms are available there. 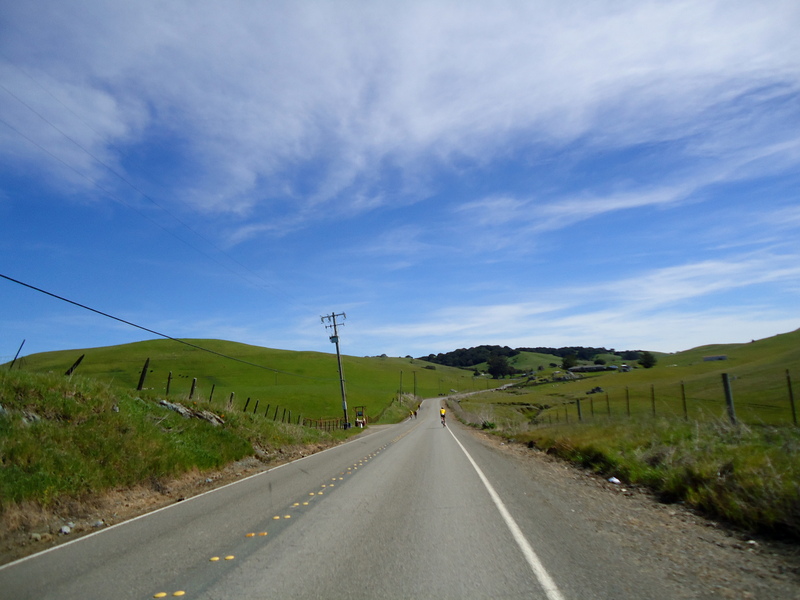 We continue straight on Pt Reyes-Petaluma Rd to Hicks Valley Rd. From Hicks Valley, we turn right on Wilson Hill Rd. The climb on Wilson Hill is less than one mile with an average grade of about 7% with several sections hitting 9-11%. 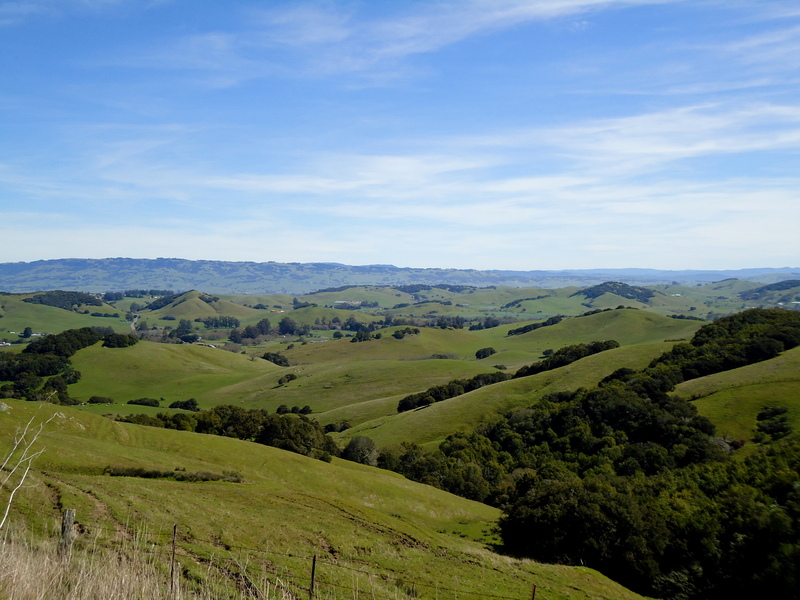 You get fantastic views from the top of the ridge. The descent on the back side is very fast! 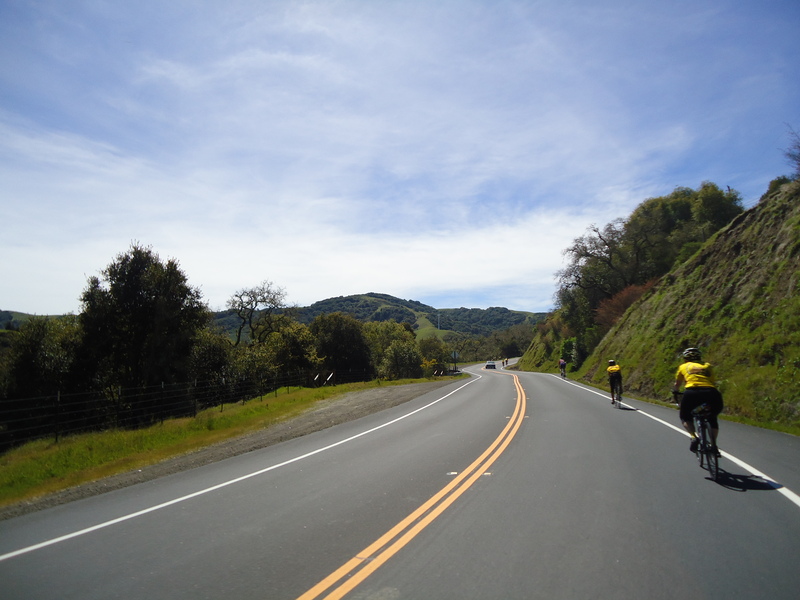 We continue straight on Chileno Valley Rd for the next 3 miles towards Petaluma. 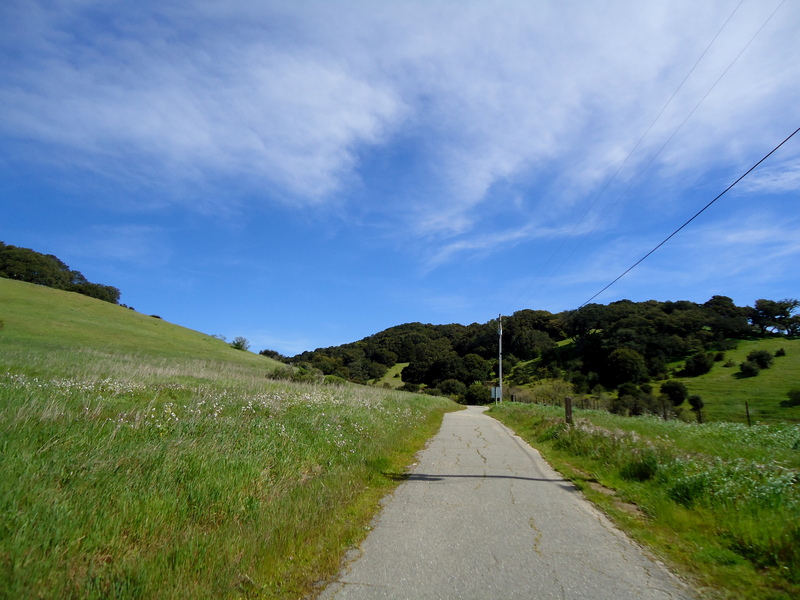 There are a few climbs on Chileno before the turn into the Helen Putnam Park. It’s very easy to miss the entrance into the park, watch out for the small sign and the gravel parking lot in the front. Water and restrooms are available here. We continue 1.2 miles on the trail through the park. There are two short steep climbs before reaching the top, thereafter it’s a steep descent on the back side with spectacular views of the city below. 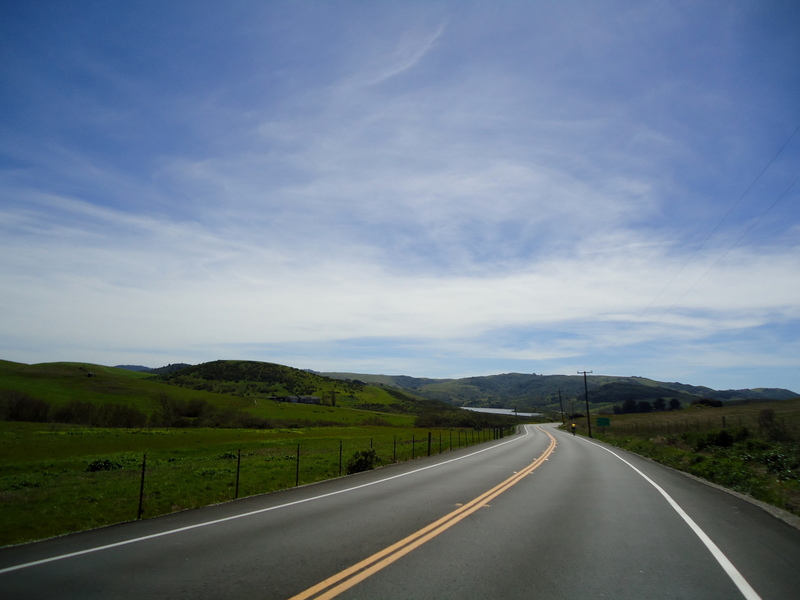 We exit the park on Oxford Court and take Windsor Dr and Western Ave to the downtown area of Petaluma. 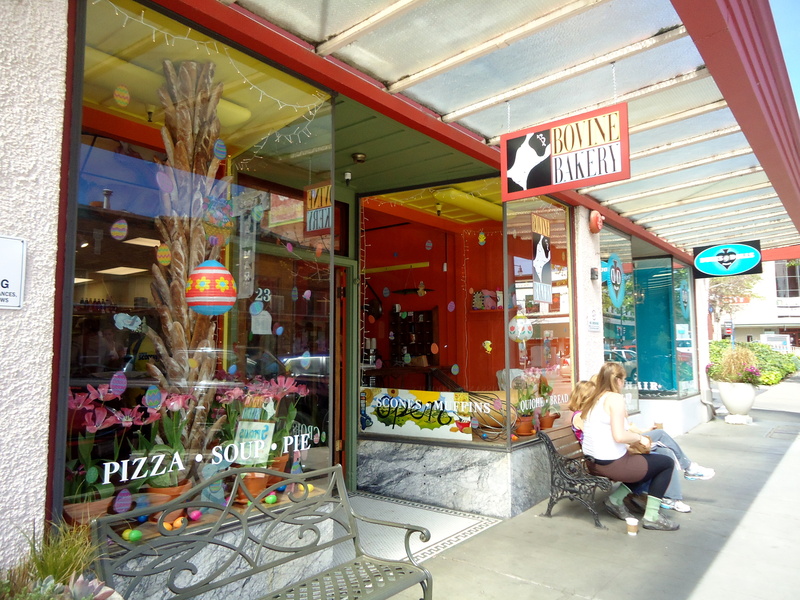 You would need to hop on the side walk to get to the bakery; it’s a one way street. 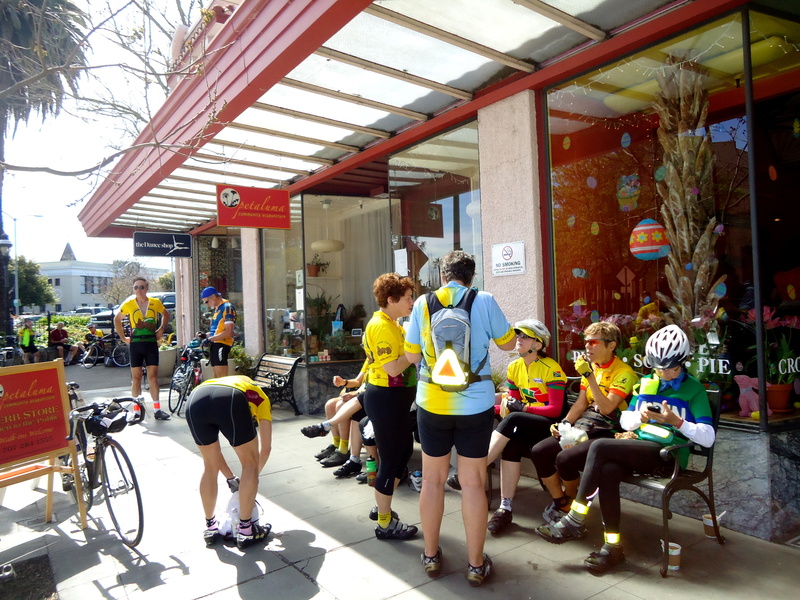 The Bovine Bakery is located at 23 Kentucky St. Water and restrooms are available at Walnut Park which is down on 4th St & D St.
We continue on D St which eventually becomes Petaluma-Pt Reyes Rd for the next 4.5 miles. 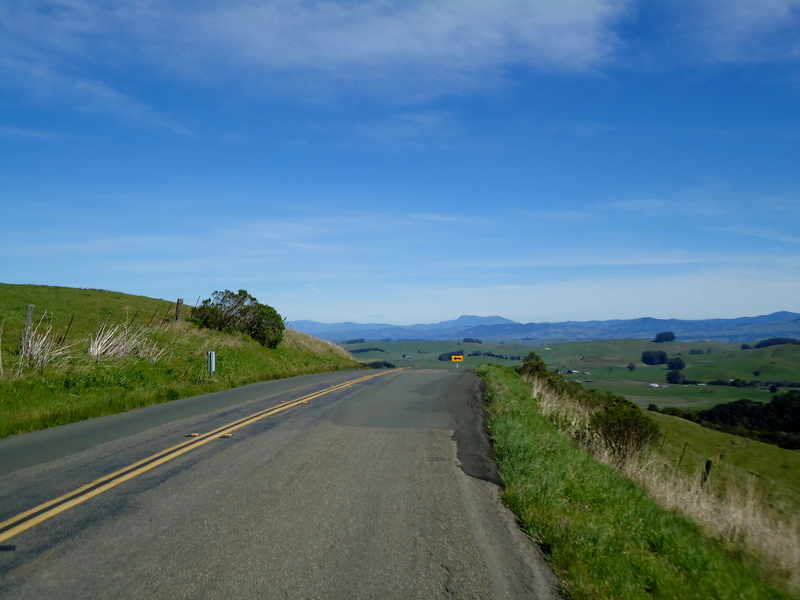 Much of this road is exposed to the sun and it can get very warm on this climb up Red Hill. 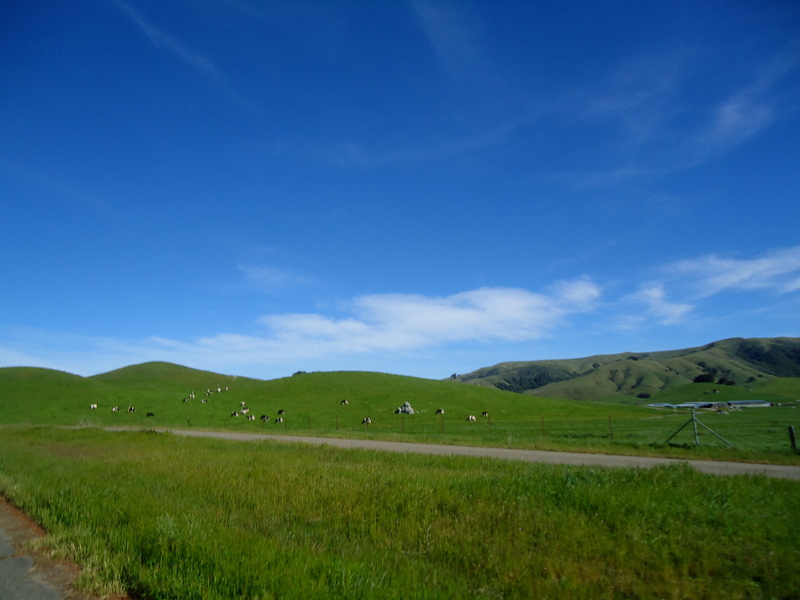 The gradient ranges from 4-6% with several section/pitches reaching 9-10%. 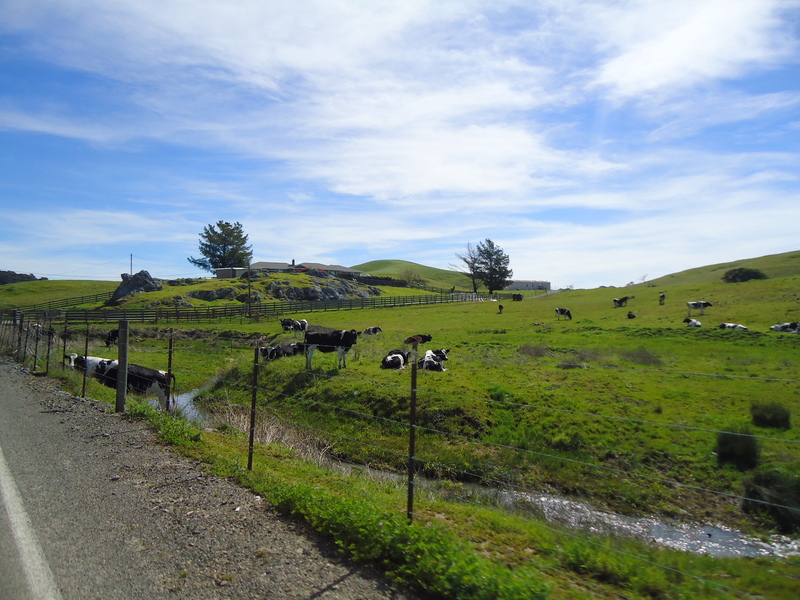 It’s a nice fast downhill all the way back to the Cheese Factory. 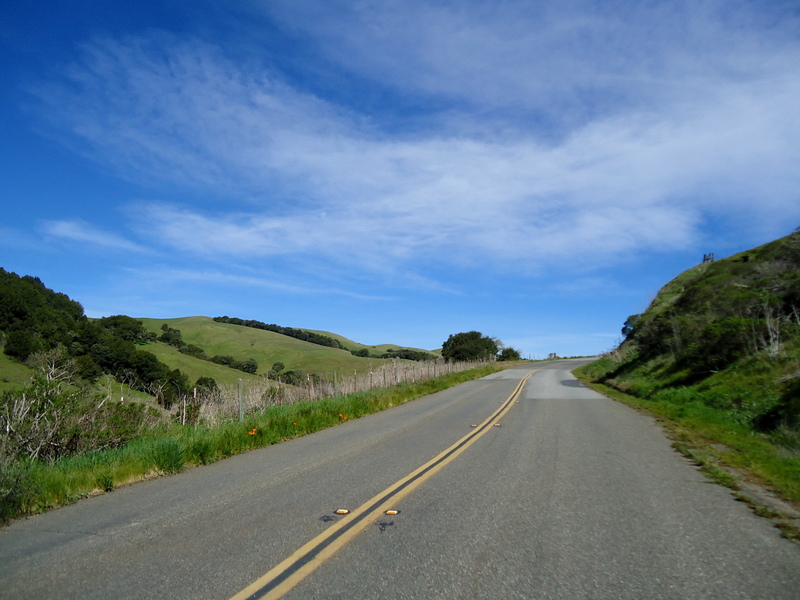 We continue straight on Pt Reyes-Petaluma Rd back to Nicasio Valley Rd. 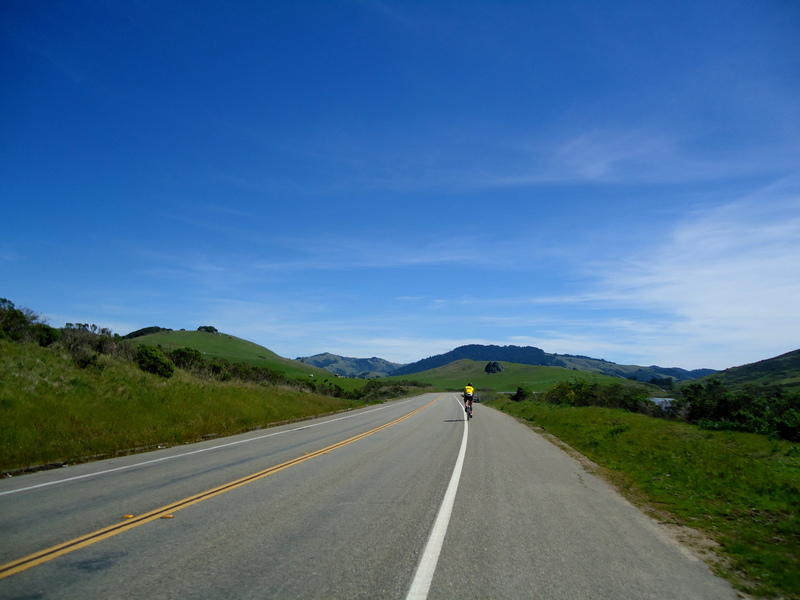 We ride pass the reservoir and return to Nicasio. 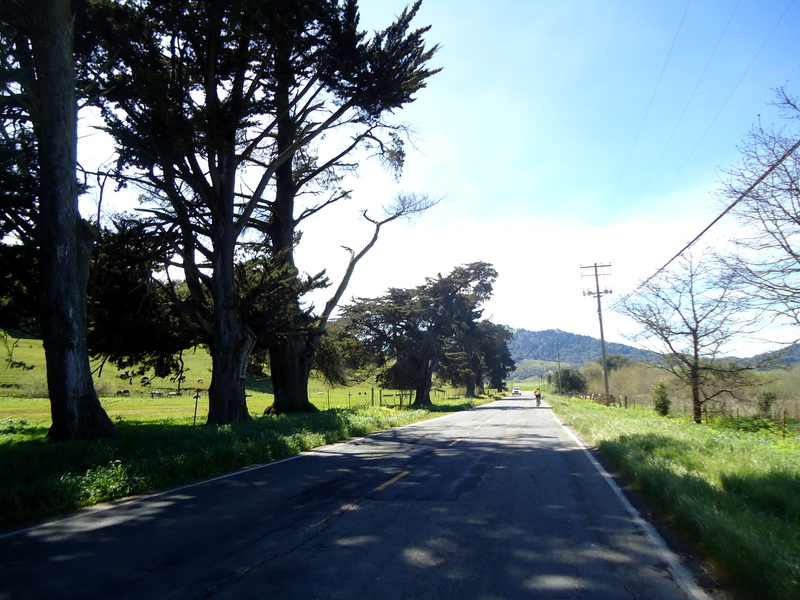 Wyatt and I continue on Lucas Valley Rd back to our start on Miller Creek Rd. 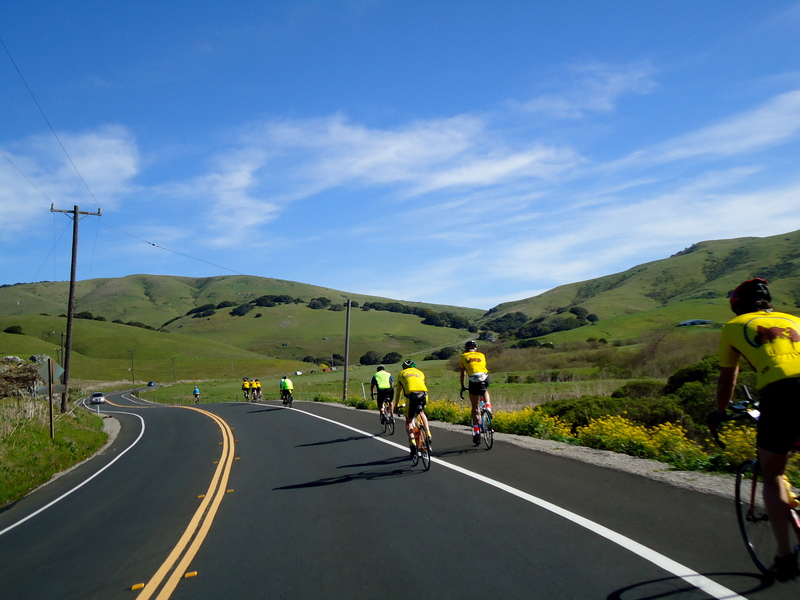 Thanks to Phil and Krehe for leading today’s ride! 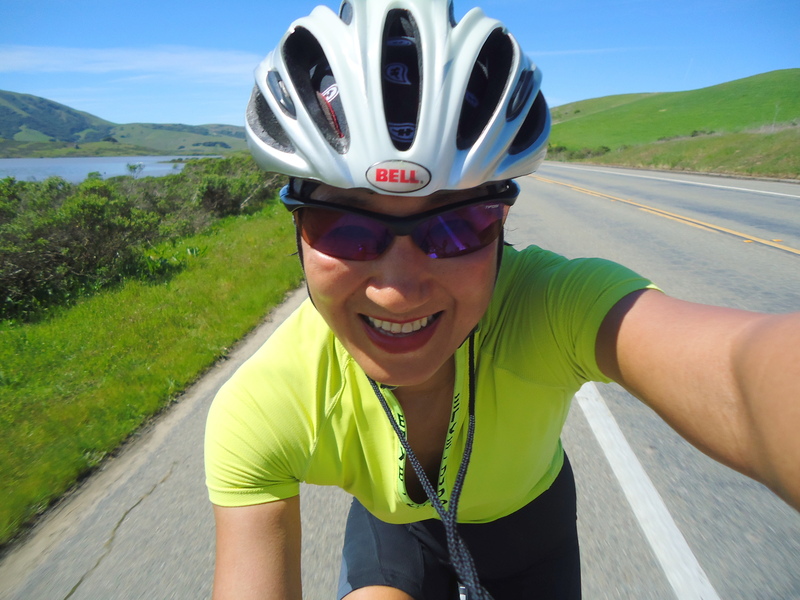 What a great day to be out riding, it was absolutely fabulous! Weather: GORGEOUS! 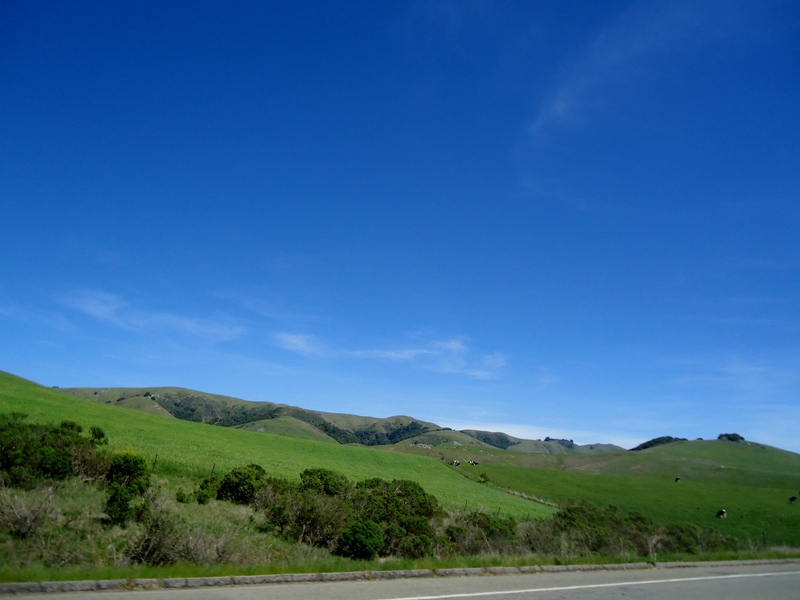 Sunny and warm, Starting temp of 61 and reaching the high 70’s in the afternoon. I’m the manager at Bovine Bakery in Petalma. I’m really glad you made your way to our bakery and shared your story with others!